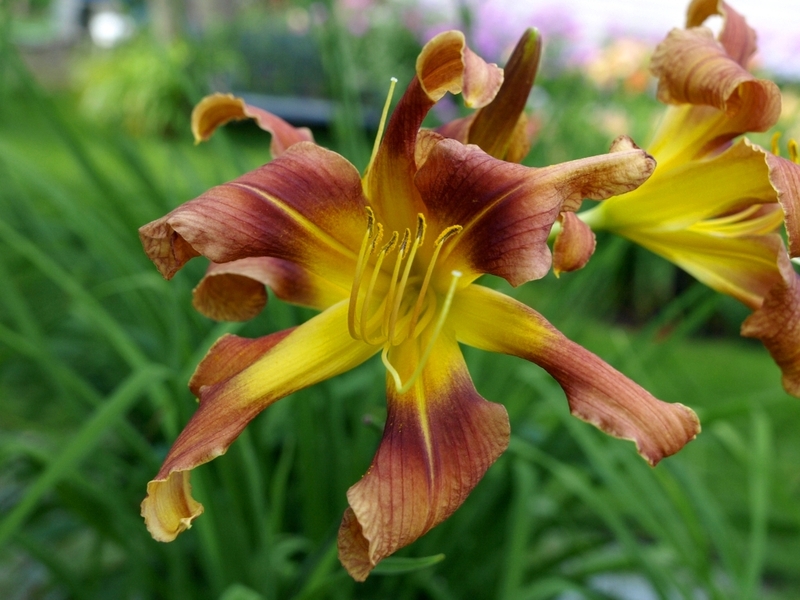 This daylily was given to us a number of years back as a seedling from the breeding program of the late Gary Carlson. Gary didn't like the colour and was going to dispose of it, but we saw incredible beauty in the narrow twisting and curling segments. Gary gave it to us with the caveat that if it was ever registered it should be named 'It Came From Outer Space'. He recognized it's unusual form and thought that it should be given a name that fit with it's strange extra-terrestrial look. ICFOS is a very vigorous multiplier, shows incredible 6 way branching with budcount of 35, and it reblooms as well. Registered as a crispate UF, mahogany red with a much darker eye and large intensely yellow throat. 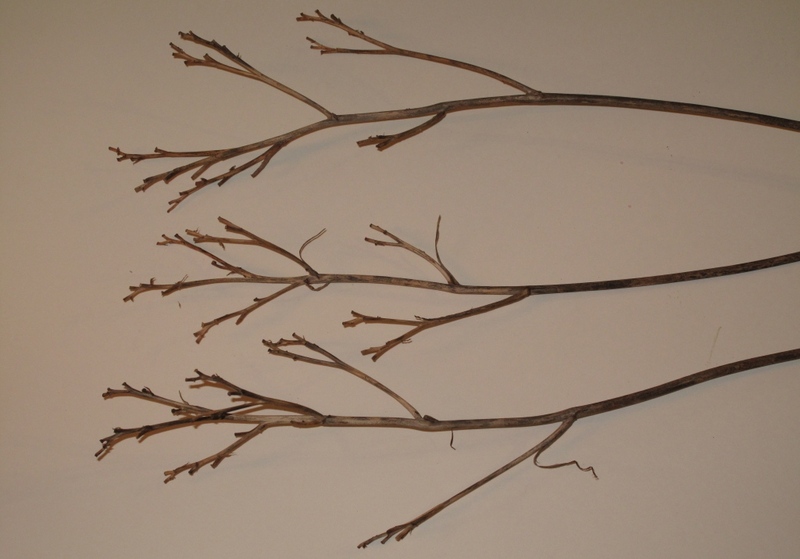 Petals may twist or pinch and sepals will twist or quill. 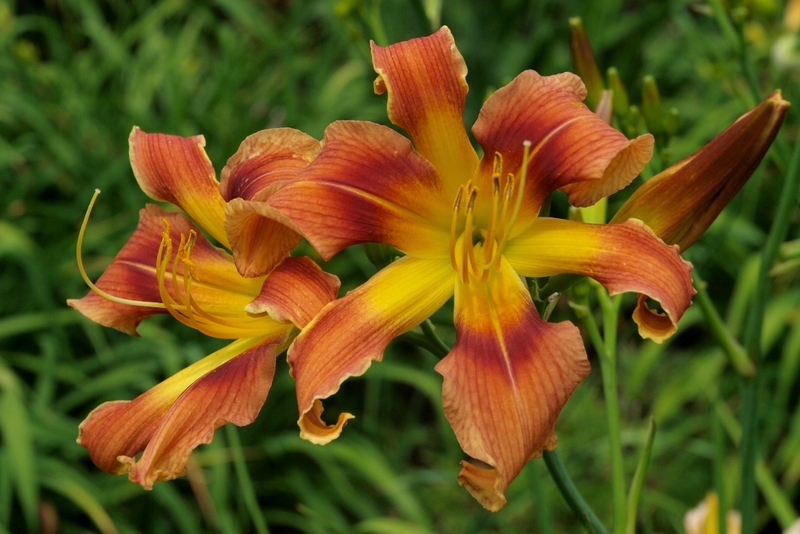 Arcadian Daylilies is very pleased to introduce 'It Came From Outer Space' in our 2015 list of cultivars. Gary was a big supporter of the Orillia Soldiers' Memorial Hospital to which he donated proceeds of his own daylily introductions. In Gary's honour we will be donating $10. from every sale of ICFOS to the Juvenile Diabetes Research Foundation. Pinched and twisted petals with quilled and twisted sepals.